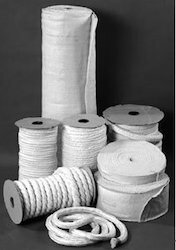 Our product range includes a wide range of non asbestos rope and ceramic fiber rope. 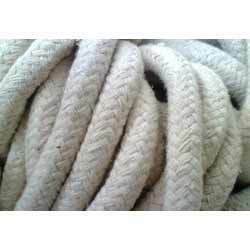 Non Asbestos Ropes offered are made available by us in 100% asbestos free material finish and feature low temperature resistance to about 200 c. This temperature resistance can further be increased by makes these ropes go through the process of special treatment as demanded by the customers. Further, these also offer superior thermal conductivity as well as resistance against corrosion. Ceramic Fibre Rope Gasket manufactured from high temperature fabric yarn coated with silica, alloy wire and fiberglass material. In addition to our standard line of safety products we offer welding safety blanket, tapes, ropes, and protective clothing to keep your employees safe. Looking for Non Asbestos Rope ?